Looking for Welsh Playwrights for Scratch Night in London. Started by Chippy Lane Productions Aug 8, 2016. Started by Camille Naylor. Last reply by sean donovan Dec 1, 2015. Started by Caley Powell. Last reply by Catrin Fflur Huws Mar 4, 2015. Started by Richard Hurford Oct 21, 2014. Started by Sophie Chei Hickson Aug 21, 2014. You need to be a member of Writers to add comments! Spaces are still available for the next silent writing retreat. Zenpens is an exciting new writer’s retreat based in Cardiff City Centre. Adapted from the Writer’s Army workshops lead by the New York playwright Anne Washburn, Zenpens allows writers to concentrate solely on their work in meditative silence. Zenpens is a one-day silent writers retreat. No phones. No social media. No distractions. Meeting at 9:45 am for a short debrief and writing exercises, we start working in earnest at 10 am until 1 pm. An hour lunch. Then more silent writing from 2 pm until 6 pm. The most important rule is that everyone starts and leaves at the same time. It’s a quiet space, but most importantly it’s a space where everyone is working steadily together. We also ask that people not work during lunch. Periods of not working and switching off completely are vital for overall productivity. A supportive space to begin something new or rehash something old. Writing exercises to boost creativity. Free tea and coffee facilities. Money collected at the retreat is used to pay for the space and its upkeep. If you can, please pay the suggested donation of £8 or £5 concession. This sounds right for me, when’s the next one? Zenpens will be taking place on the 20th April at the John Dennithorne Room, Quaker Meeting House, 43 Charles Street, Cardiff CF10 2GB. Spaces are limited, so please email your interest to Paul Stoyle at zenpenssilentretreat@gmail.com or visit https://zenpens-silentwritersretreats.yolasite.com/ for more information. With an aim to support freelance practitioners, create connections and share opportunities in Wales, we will be starting a new monthly group SYNERGIZE. Whether you are a performer, writer, producer or director, you are welcome to our first meeting where we will explore how we wish to work together over the coming months and what we wish to achieve. MONDAY 25th MARCH 5pm - 7pm in the Community Room, Tesco Extra, Western Avenue, Cardiff CF14 3AT. Refreshments will be provided and we will ask for a donation of £3 to cover costs. Do you dutifully start typing only to be tempted to dive into Instagram, or start cleaning the kitchen, or Skype an old friend…? Togetherness is a spur . The presence of other writers can allow you to work longer and more productively than you normally would and helps to move you through periods of inattention and malaise. Cool, so how does it work? Zenpens is a one day silent writers retreat. No phones. No social media. No distractions. 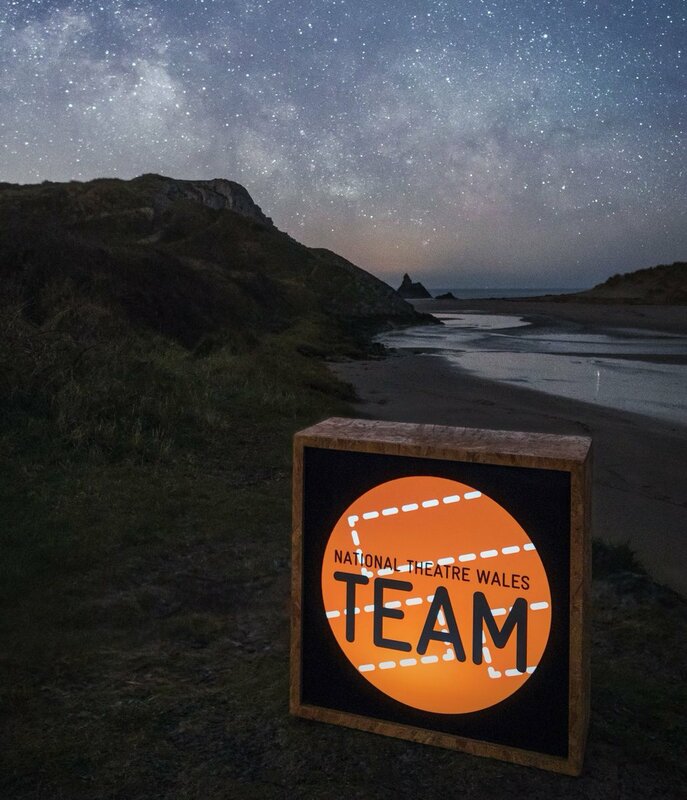 We are currently have a script submission email open until January the 15th and are very interested in working with new Wales based writers, if that sounds like you please get in touch! See image below for more details. The residency is Playwrighting and theatricality- from 3rd-7th Sept. Taught by Tim Price and Hamish Pirie- I also have a return ticket for the train from Cardiff to Criccith. Final call for The Writer’s Scratch Night. Pen and Paper Theatre Company are holding a Scratch night but with a difference. Are you working on a script right now, or developing a script you have written? Our Scratch night is set to be a workshop style event led by writers, working with actors on developing their scripts through practical exploration. If you just want to hear your script out loud, workshop scenes or even play with visual elements, this event is perfect for you. This is a final call for a writer, to find out more information or book your place get in touch or comment below. The event is free, and not paid but will be 2 hours of exploration, development and artistic experimentation. Held on 16th August at Arts Central Gallery, Barry, Vale of Glam, 6-8. Can’t attend the event but still want your work involved? You can send work to us, and we can gain feedback both visually and written to send over to you following the event. Hope you are well. I am not sure if you have seen over facebook at all, but I have just opened a thetare company in the Vale, and I am running a Writer's Scratch Night. This event will be a workshop style event where the writers present their work to actors, then workshop it with them as part of a development process. A modern opera double bill for everyone who loves opera and for anyone who thinks opera isn’t for them. ‘Peacekeeping’ (45 minutes) Is a multi-layered story about the trade in human beings in this beautiful psychological chamber opera. A Ty Cerdd New Music commission 2017-18. ‘The Filmmaker and The Organ Trader’ (30 minutes) A haunting electronic score evoking an industrial, transport and internal body soundscape. An unusual love story between clowns inviting us to delve into their dark, lucrative world of body harvesting and organ trading. A crowd funded commission 2016. Supported by Wales Millennium Centre, Ty Cerdd, Royal Welsh College of Music and Drama; Opera’r Ddraig, Spit&Sawdust, crowd funders and Joyce Watson AM. Clock Tower Theatre Company have been devoted to producing new writing since our inception. Going into 2018 we want to continue to support new writers and their work. So we’re looking for some brand new writing to continue this trend. Work that has been created in the past two years, is bold and current and at least an hour long. If you’ve got any work that fits this remit, whether complete or not, please get in touch with us. We’d love to meet you, read your work and potentially help you with developing or finishing it. with Writers’ Call Out as the subject title.